In conjunction with summer’s highly anticipated exhibition, Tutankhamun and the Golden Age of the Pharaohs, the de Young Museum has partnered with 21 Bay Area hoteliers to create King Tut-inspired packages. The exhibition has attracted nearly five million visitors on its U.S. tour, and the de Young will be the only venue north of Los Angeles and west of Dallas. 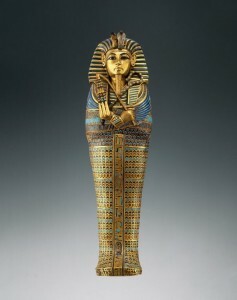 When Tutankhamun and the Golden Age of the Pharaohs opens in San Francisco on June 27, 2009, it will mark the first time that the treasures of King Tut will be seen in Northern California since the record-breaking exhibition at the de Young in 1979. With packages including special spa services, dining experiences, exhibition docent tours and other amenities, there are offerings tailored to every guest. Every hotel package also includes exclusive access to unrestricted VIP exhibition tickets, which are not available to the general public. VIP tickets are untimed and undated, enabling visitors to view the exhibition at their discretion, even when it is sold out. As VIP ticketholders, guests will also receive a Pharaohs Gold Card, entitling them to unique discounts and special offers from participating retail partners, restaurants, businesses and attractions all over Northern California. • Hilton San Francisco Fisherman’s Wharf – The Golden Chariot Tut package includes overnight deluxe accommodations, complimentary breakfast, complimentary parking and VIP tickets to the exhibition for $184. • W San Francisco – An artful getaway for two, the W’s premium King Tut experience includes hip overnight accommodations, two “Tutini” signature cocktails at the XYZ bar, a “mummified” Bliss Spa Hot Salt Scrub or Shrink Wrap treatment, complimentary parking, and an upgrade to the next room type from $450. • The St. Regis – The King Tut Platinum package includes overnight accommodations, a $100 dining credit that can be used at restaurants Ame and Vitrine or for in-room dining, two VIP exhibition tickets, overnight parking and a complimentary upgrade to the next room type from $499 per night. • Hotel Palomar – Hotel Palomar’s Pharaohs Indulgence package includes a two-night stay in a deluxe suite, a luxurious “Mummy Wrap” Spa Treatment at the Burke Williams Spa, two VIP exhibition tickets, an exhibition catalogue and a champagne-and-strawberries welcome for $670. Please see list of hotels below. For complete package details, please CLICK HERE. Tutankhamun and the Golden Age of the Pharaohs presents over 130 important objects from Egypt’s Golden Age, including 50 from the tomb of King Tut. The exhibition places Tutankhamun in a larger context through an additional 80 objects from the tombs of his ancestors, which provide insight into the daily life and royal burial practices of the 18th Dynasty. Four additional objects from Tut’s tomb add luster and intrigue to the de Young’s presentation. The exhibition runs through March 28, 2010. The exhibition is organized by National Geographic, Arts and Exhibitions International and AEG Exhibitions, with cooperation from the Egyptian Supreme Council of Antiquities. Northern Trust is the proud cultural partner of the exhibition, and American Airlines is the official airline. The San Francisco presentation is sponsored by the Consulate General of the Arab Republic of Egypt, Mrs. Thomas B. Crowley, Sr., and Rajnikant and Helen Desai. Tickets are now on sale. For additional information about tickets and pricing, please visit http://www.deyoungmuseum.org. For groups of ten or more, visitors may contact the group sales office at tutgroups@famsf.org or call 415.750.3620. The de Young, designed by Herzog & de Meuron and located in Golden Gate Park, showcases American art from the 17th through the 21st centuries, international textile arts and costumes, and art from the Americas, the Pacific, and Africa.